I am a big fan of raw milk cheeses. I think they have more flavor than cheeses made with pasteurized milk. 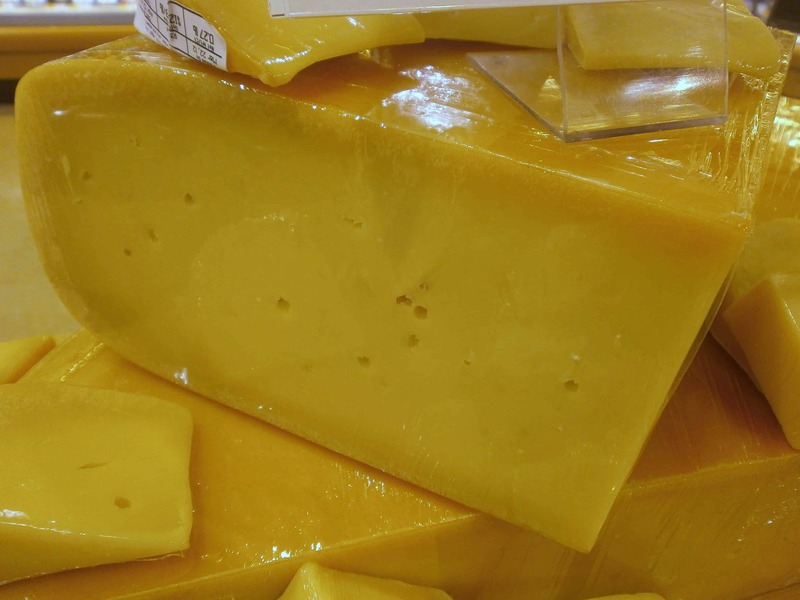 I wrote last year about raw milk cheddar, which has been the only kind of cheese I have had in the raw. But now you can add gouda to the list. 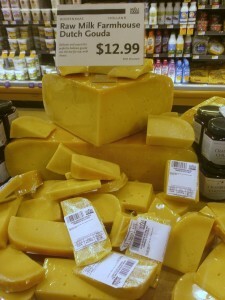 I saw some wedges of a raw milk gouda at Whole Foods Market recently. The wedges were going for $12.99/lb, which is more than I like to pay for my cheese, however they had a lot of little wedges to give you a try that I could get for under $2. Not only is this gouda a raw milk variety, it is a farmhouse cheese. This means the people that milk the cows, make the cheese right on site. A cheesemaker can’t get milk any fresher than that. For this cheese to also meet it’s farmhouse guidelines the cheese can only be made when the cows are in pasture, so it is not made during the colder winter months. As for how the cheese fared with my palate, I found it to be creamy and full-flavored cheese. It has a pleasant sweetness to it. A good quality gouda, but I don’t know if I would pay that price again, when I can get other goudas that are just as delicious to me. It’s still worth your time and money if you are a huge fan of gouda. You can purchase the cheese at Whole Foods and online via Zingerman’s Mail Order. Previous Post: « Are Restaurants Using Pink Slime (Finely Textured Beef)?